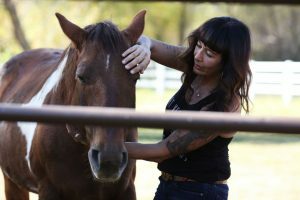 Take a look at the Yahoo Lifestyle article showcasing Joanne Cacciatore's Care Farm in Sedona, Arizona. Joanne's brainchild is a unique application of this model to helping people who are in the throes of bereavement. She helps people reconnect to the earth, animals, nature, and themselves while allowing the painful process of mourning to happen as it naturally does. This stands in stark contrast to the conventional and absurd method of trying to make the pain go away. Congrats Joanne!